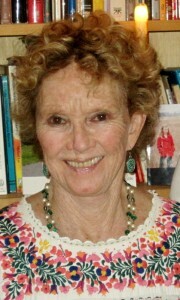 BEA AMMIDOWN, E- RYT500 has been a student of yoga since 1964 and certified as a Yoga instructor in 1986. Born in New York, educated in Paris and Switzerland, surrounded by eclectic diplomats and artists. Bea was an editor for Life Magazine and Harper’s Bazaar, journalist with the LA Times, publicist for MGM Studios. She enrolled in Peace Corps volunteer training . Inspired by her neighbor Norman Cousins she founded and directed HumoRx –Laugh Wagons a program dedicated to the healing effects of affirmative emotions on the immune system at Childrens Hospital Los Angeles. While traveling abroad, she suffered severe injuries in a head-on auto collision that killed her fiancé. From the demands of learning once again to function physically through four years of major rehabilitation processes, she developed a form of Yoga for her healing. The YogAbility Institute, her second nonprofit corporation offers yoga therapeutics to people with physical or mental challenges. Yoga for Special Needs DVD with Bea Ammidown instructing is selling worldwide. This DVD offers a compassionate professional approach by introducing the first of a series of 60 minute Special Needs Yoga sessions instructing patient tested exercises for Cerebral palsy, heart and stroke recovery, hip and knee replacement and Macular degeneration. Fluent in French and Spanish she is a member of the International Assoc. of Yoga Therapists; Yoga Alliance. Yoga for the Special Child” trained and a Phoenix Rising Yoga Facilitator. Mother of two actresses, one social worker and wild grandmother of six little girls. * Fluent in French and Spanish. Knowledge of Italian and Greek.